Vote for the CB Care & Use Poster Contest Winner!!! 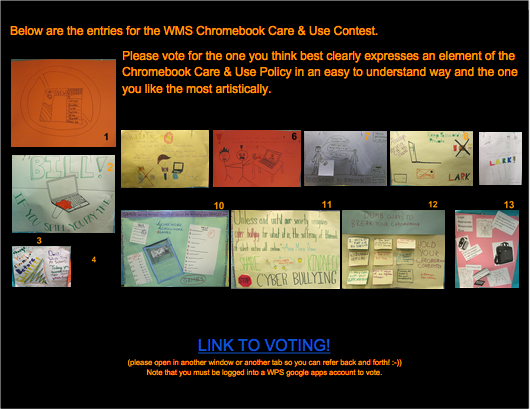 Click on the image above to vote by the end of the day on Tuesday, December 22nd! NEW DATE!!! HOPE FOR NO SNOW!!! Come to one, the other, or both of these events! endolith. 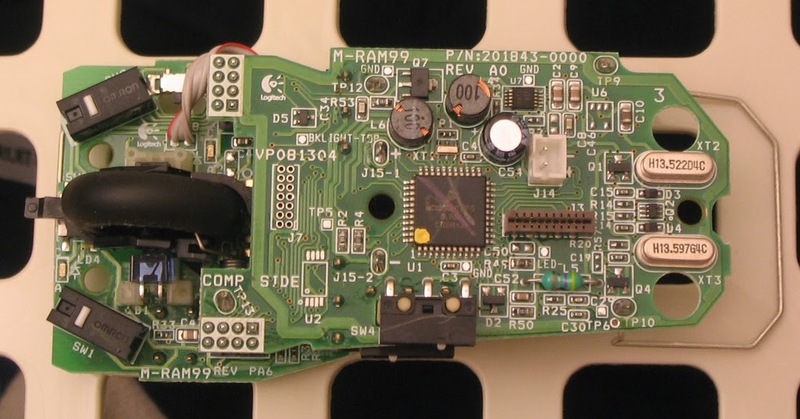 Logitech MediaPlay Mouse Internals 049. Digital image. Flickr. N.p., 18 Jan. 2007. Web. 14 Dec. 2014. Used under Creative Commons license. Today we will start working with our bookmarks! Make a COPY -- if you are working with partner(s), only one person in the group should do this. RENAME: "InfoInv Bookmark [your name(s)]"
Our next meeting is at the WPL. 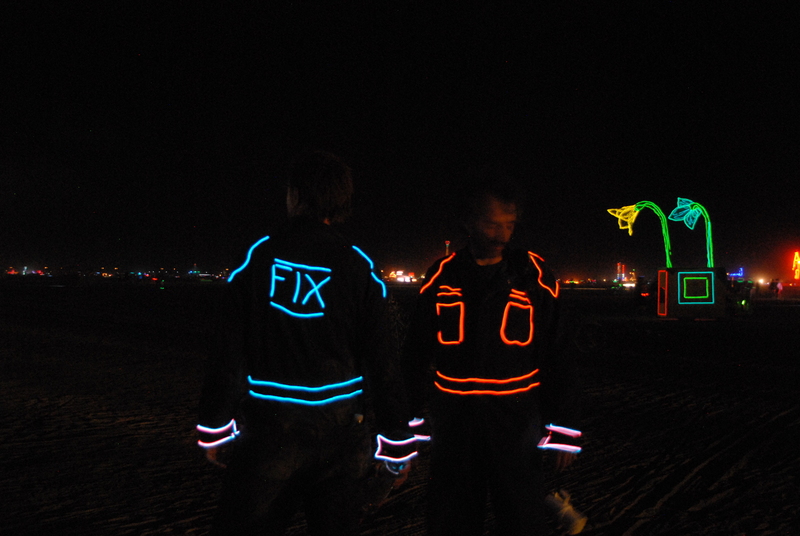 We'll be working with an expert to create with EL Wire. For more information about EL Wire and our presenter, see this blog entry. WHY: EL Wire is supercool and superfun!!! Welcome Back to Teen Library Advisory! The Wayland Teen Library Advisory Group is a collaboration of WPS students in grades 6-12 who meet monthly to discuss library-related topics and give feedback on library programs. Meetings rotate between WMS, WHS and the WPL. All students are welcome! To encompass a range of students, we try to offer a variety of activities offer events on different days of the week when possible. Share about awesome books you've read. How do The Giver and The Fault is in Our Stars movies and books compare? 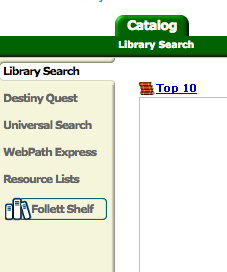 Universal Search searches all library of our resources, providing easy access to print books, cloud-based electronic books, cloud-based audiobooks and preselected websites. Stay posted for more information! Click here for a project for 7th grade students who are not in Cape Cod this week. Time is flying! By popular request, the last meeting of the year is.... MORE FANDOM! Meet old friends and new at the WMS library after school on Friday, May 30th. There is a new KidInfoBits -- what do you think about it? Thanks to everyone who made our Fandom Festival so EPIC! Everyone wanted to do it again.... so we're going to! And on a non-Thursday! Date to come in March or April. When: Thursday, Feb. 13 2:30-4:00 p.m.
How: WMS students: let Ms. Ravid know you are coming so we can have enough snacks! How: WHS students: let Ms. Schmidt know you are coming so we can get you bus space to WMS! Make a Memory Bracelet out of paper beads, learn to roll beads out of paper, have fun, and support women and families in Uganda! -- all in this workshop led by Cristina Booker from BeadforLife.